Feeling dull? Come join us at Hang Out 2 for a chance to make some new friends. 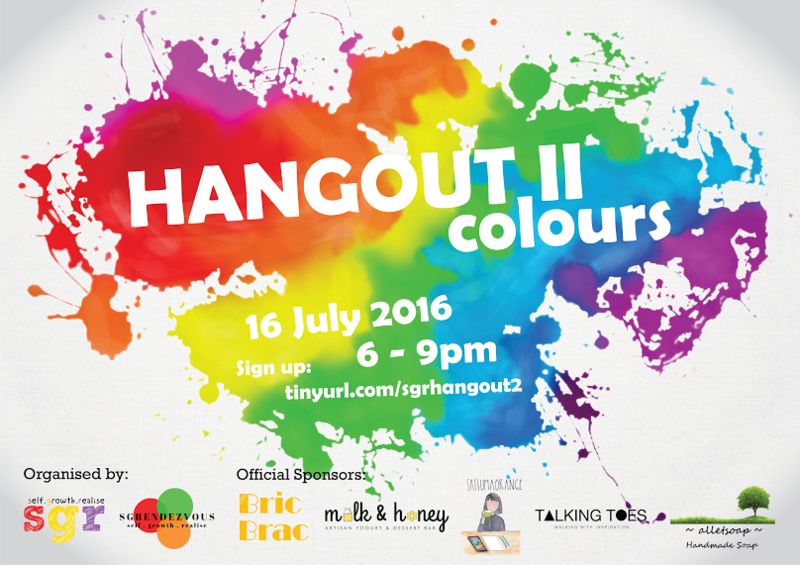 Hang Out 2: Colours celebrates the diversity in the GBQ community and we hope you can join us! This programme is filled with fun activities and you can stand a chance to win some attractive prizes. Dinner and goodie bags will be provided for you. This programme is open to GBQ youth age 18 to 25 years old only. Hang Out 2 is proudly sponsored by Bric Brac, milk & honey, Satsuma Orange, Talking Toes and alletsoap.